Preparing, cooking and delivering fine-dining meals to a restaurant full of hungry and demanding customers can be a daunting prospect for any chef. But now imagine having to do this in a floating galley just four meters wide, on your own! Welcome to the challenge faced everyday by superyacht chefs who are expected to create sumptuous meals around-the-clock for an elite clientele accustomed to the very highest level of culinary expertise. It’s a grueling vocation, catering to the unusual variety of tastes of both guests and crew while also acting as the kitchen’s cleaner, waiter and book keeper. But as many superyacht chefs will tell you, it’s also a rare dream job which can pay up to US$13,000-a-month and enable the lucky recipient to travel the world in floating 5* yachts that can comfortably cost more then US$100m. So, what are the things you need to know about being a superyacht chef? Firstly, and taken as a given – you need to be a competent and experienced chef and be able to demonstrate it. Being a superyacht chef is best suited to chefs who are at sous chef level and above, with solid experience under their belt. There are opportunities for chefs with less experience but these are very limited due to the fact that so many crews only have one chef on board. As a superyacht chef you need to have an international outlook to your cooking style and be willing to try different things. Especially for the crew, if they’re interested in what they’re eating it helps keep morale up when you’re away from home for long periods of time. You’ll need to be flexible too as your guests are likely to have a number of different requirements – one may be vegetarian, one gluten-intolerant, one kosher. So you might be doing three or four different menus each day which means that you need outstanding organisation skills. Even if you’re the best chef in the world without this you’re going to be heading for a spectacular crash and burn. Your day will normally begin at 6am, preparing meals for around 12 guests and eight crew members on board a vessel up to 60 meters long so you’ll need to be a mornings person and be able to withstand the pressures of a long day, with little or no help. Even after the last meal of the day is served, there’s a long evening of planning for a superyacht chef who may be moored out at sea and without access to suppliers days at a time. And if a guest is feeling a little peckish at 3am, it will fall to you to step in and satisfy their cravings. 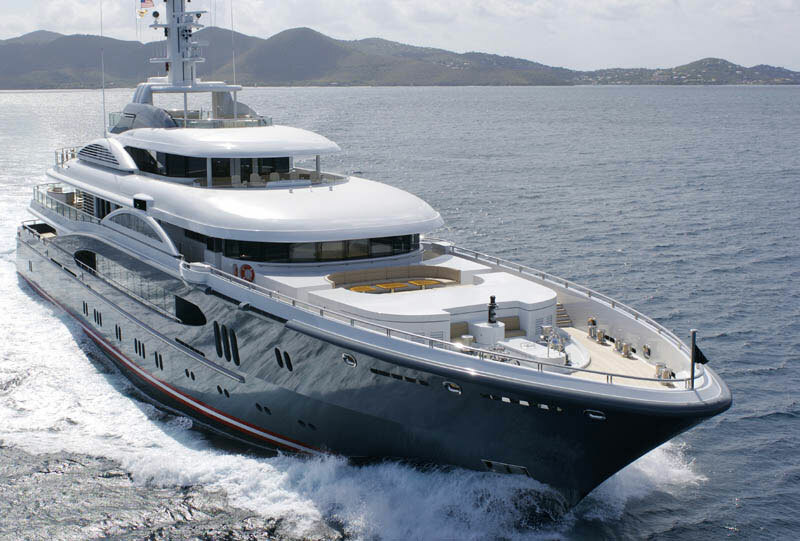 In the world of superyachts the guest is god. A superyacht kitchen (galley) is specially designed for the high seas with barriers around key equipment and latches on cupboards to prevent food from spilling around in rough weather. Often wealthy owners will go to the extent of installing specialist equipment to suit their tastes, such as dim sum steamers or pasta boilers, but a common theme on boats is preparation space is extremely limited. In a normal kitchen you may have multiple sections, but on a superyacht you’ve basically got to do everything in one confined space. However, despite the challenges faced with working in such a small environment, expectations of guests remain very high and with around-the-clock demands, you won’t always get a chance to fully explore the fabulous places the superyacht you’re on visits. But, get the odd chance to wander through local markets, sampling exotic ingredients and you’ll be amazed at how quickly your culinary repertoire can expand. Also, you’ll often find that the food budgets available to for the number of people you’re catering for is much higher than they would be in a commercially driven and competitive environment such as a restaurant. This means you can really experiment with fresh, seasonal produce – much to the delight of guests keen to sample the local cuisine wherever they are in the world. Along with the unique chance to travel the globe, meet a really diverse range of people and increase your skill base while working on an amazing superyacht, is the ability to earn a very high salary and generous bonuses. A chef working on an average size superyacht (appx. 50 meters long) can expect to earn around €5,000 ($6,500) a month, while those on larger boats (above 80 meters long) will earn closer to €10,000 ($13,000) a month. Its not uncommon to get a share of tips left by guests and / or an annual bonus, often the equivalent of one months salary. You’re also likely to get a certain amount of flights home paid for each year and paid holiday. Working as a chef on a superyacht requires some additional qualifications which you’ll need to obtain before you can start sailing the high seas and seeing the world, and while this type of career move is not for everyone, if you want a real adventure while experimenting with exotic ingredients and boosting your bank balance then its a great alternative to being a chef on dry land!